Bottle-necks in the team are visible and it becomes clear where the problems arise. Set-ups are also useful for decision making, gaining insight in the free market processes, executing management interventions or deciding which steps to take next. The methodology is visual and unique. The results are easily accessible. We work with the management as well as with teams. The training costs are € 625 (for the entire team) including 2,5 hours of pre-screening. The 1,5-hour training, for management only, costs € 375. 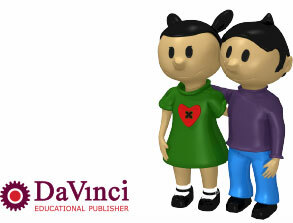 All business set-ups are custom made by educational publisher DaVinci. A seminar can also be combined with a team-training. The costs are € 1195, instead of €1490, for one day (6 hours).